special needs Archives - Pride Learning Co.
Parents teach their children lessons every day. Parents of children with special needs often feel like there are even more lessons that their children need to learn because they face special challenges. These parents sometimes feel overwhelmed and unsure of where to begin teaching their children, which makes it difficult to choose an education path for them. Any lesson that is suited to a child’s ability and engages him is appropriate for a parent to teach, and we share a few of our favorites here. Organizational skills are important for kids with special needs not only because they need to be able to access their belongings but because they need to keep orderly thoughts so they can retrieve their knowledge and use it effectively. Children who lack organizational skills struggle when it comes to handling information logically and effectively; the result is they face challenges when they have to set priorities, make plans, and see a task through to completion. 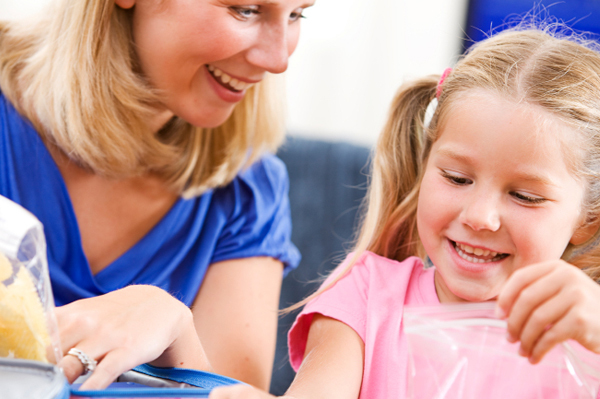 Parents can help kids build organizational skills in several ways. For example, creating a family calendar where parents and children keep track of tasks and plans is one way to teach the importance of having a schedule and meeting deadlines. Assigning chores that involve sorting and categorizing is another way to boost your child’s organizational skills. Guide your child through sorting and folding clothing or using containers and bins to keep toys and belongings in their designated spaces. Kids with special needs should be as independent as possible. Independence gives the kids a solid foundation on which to build confidence and prepare for a future without parents and siblings being available to help them at every turn. As with any child, your child with special needs should be given the opportunity to reach his potential. There are a few strategies you can use to support your child’s independence and show him to take pride in achieving it. First, give your child as many choices as possible. Help him understand the importance of transitions. Guide your child through setting realistic education and career expectations and make sure the educators and other caregivers are well aware of his goals and support them. Of course, your child with special needs also needs to learn to ask for help when he needs it. Independence is critical to his happiness and success, but so is understanding that there is nothing to be ashamed of when he does need help. Children with special needs often remain silent when they need help the most, so showing them how to ask questions is vital to their success, safety, and independence. Adults often assume kids who don’t ask for help are doing well when, in reality, the opposite is often true. You may want to meet with a teacher to come up with strategies for how your child will ask questions. Kids with dyslexia especially need to know when to ask for help in the classroom. For example, when he is reading, he may place an index card on his desk to signal the teacher he needs help during quiet work time. Help kids identify when they have a problem and when they need help. Work through knowing the difference between problems and needing help, and between needing help and wanting help. Walk kids through who can help them and when, and how to communicate with those people when they need help. Teaching your child with special needs how to stand up for himself boils down to teaching him to self-advocate. Work with your child to align his actions to his feelings and to have a strong set of values so he is trustworthy. It’s also important to model with your child so he understands how to be assertive rather than aggressive. Teach your child to respect himself and others and to create healthy relationships with others. One of the best ways to teach your child these self-advocate concepts is to model them through various play-acting scenarios. Create situations for practice at home and work with your child until he feels comfortable to handle the situations on his own at school and in other settings. Jenny Wise is passionate about giving her children the best education possible, and by doing so from home. She put up specialhomeeducator.com to help her fellow parents who are just starting out with homeschooling.